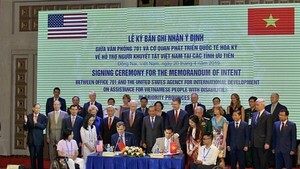 The Vietnamese economy is expected to see vigorous growth, underpinned by improvements in the country's business climate and its expected membership in the World Trade Organization, the Asian Development Bank said in a major report released Wednesday. The Asian Development Outlook 2006 Update forecasts the economy will grow 8.0% in fiscal year 2007, up from 7.8% growth this year. “Economically speaking, Viet Nam is the star of Southeast Asia,” ADB country director for Viet Nam Ayumi Konishi said in a statement from Ha Noi. The update report forecasts an overall growth of 7.7% for Asia's 43 developing economies in 2006, up from the 7.2% forecast in April. As for Viet Nam, the update outlook noted that the implementation of commitments related to the ASEAN Free Trade Area and expected WTO accession will provide opportunities for further export growth by allowing the country greater access to international markets. In addition, surging exports are helping to drive the country’s strong growth. Goods exports in the first half of this year jumped by 28.8% to US$18.8 billion, ADB says. Exporting crude oil, the country also benefits from global rising oil prices. Exports of textiles and clothing were also strong. In 2007, exports are projected to increase by about 18%, outpacing import growth and narrowing Viet Nam’s trade deficit. Strong remittance inflows are expected to help turn the current account into a slight surplus, the Asian Development Outlook 2006 Update said. It also said the inflation forecast has been revised up to 8.3% in part because of rises in administered fuel prices to reduce the cost of fuel subsidies. Rising prices for food, housing construction materials and transport have also contributed to the increase in inflation this year. In 2007, inflation will continued to feel upward pressure. One challenge facing the economy is the reduction of corruption and this has been recognized by the Vietnamese Government, which has stepped up its efforts on this issue. Viet Nam ranks 104th among 175 countries in terms of the ease of doing business, down six ranks from last year’s, according to a World Bank report released also Wednesday. 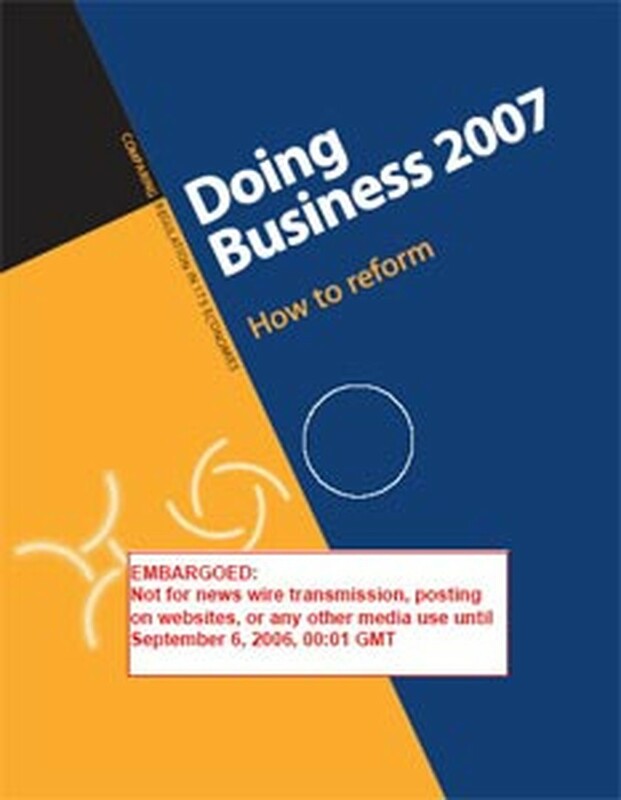 This indicates that the country’s overall progress in regulatory reforms lags behind other countries and more is needed to be done to make Viet Nam more competitive, according to the ‘Doing Business 2007: How to reform’ by the WB and its private sector arm International Finance Corporation (IFC). The down rank did not mean that Viet Nam’s ease of doing business has not been improved but other countries have improved their ease of doing business faster and better than Viet Nam, according to the report. 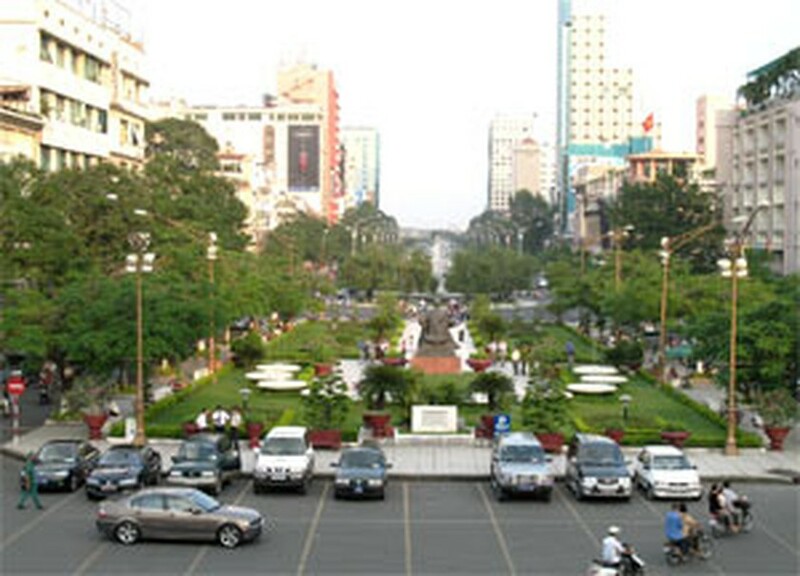 In the report, the WB evaluated Viet Nam as one of the countries that conducted best reforms in business environment. However, the latest report shows that Viet Nam is among the seven economies in East Asia that implemented fewest reforms to improve the Doing Business indicators during the report-making period from January 1, 2005 to March 31, 2006.